The Ehlers-Danlos Society acknowledges how hard it is to find an EDS-friendly specialist across various disciplines globally, so to further our commitment to your access to management and care we have created this list that is populated by professionals submitting their information to our site. It is important to note that The Ehlers-Danlos Society does not have any ownership or direct financial interest in any of the specific doctors or clinics listed on our EDS-friendly directory. There are no formal listing criteria, and The Ehlers-Danlos Society does not endorse, recommend, or certify any of these physicians. If you think you have an emergency, call your doctor or emergency services immediately. The Ehlers-Danlos Society does not guarantee or make any warranties, express or implied, as to the quality of medical advice or care given by any listed physician. The information listed in the results are based solely upon the data entered by the medical professionals listed. Jump to your country by using the links below. Dr. Anand is a rheumatologist and Pain Physician who did his specialist training in New Zealand/ Australia. He is passionate about the journey people with persistent undertake on the journey to wellbeing. He works with a team including physiotherapist, psychologist, psychiatrists, and occupational physician whose expertise is in pain management. They interact with a team of other specialists and your own health providers. Lifeworks Occupational Therapy is an OT practice with a team of therapists experienced in working with people with all chronic conditions (including HSD), chronic pain, and mental health. We provide home visiting, clinic and telehealth consultations. We help people with chronic conditions to participate in the roles and activities of everyday life that are important to them. This may be in the areas of caring for yourself, managing your home, getting out in to the community, work or study (paid or unpaid), recreation/leisure and socialisation. Kidz Clinic is a physiotherapy practice focussing on management of hypermobility disorders, EDS , gait abnormalities, coordination difficulties in children and adolescent age groups. Natalie has 25 years experience as a physiotherapist and in 2011 won the ABC TV New Inventors Award for medical innovation for Spiral Thigh Brace. This is a flexible bracing garment with a series of overlaid elasticised straps used for gait correction of pigeon toed gaits, inturned and knocked gaits specifically in the hypermobile/EDS population. Natalie has provided training workshops for physio’s and OTs in management of hypermobility disorders and has been an invited speaker at a number of Rheumatology Conferences and Podiatry Conferences. Peak Podiatry is very proud to be widely recognized as Perth’s premier Sports Podiatry practice. We are a professional Sports Podiatry practice specializing in the treatment of soft tissue injuries, sporting injuries and mechanical conditions of the foot and lower limb through biomechanical and gait analysis, diagnosis, and management. We will happily liaise with all of your health care professionals and have an extensive network of GP’s, Sports Physicians, Podiatrists, Orthopaedic Surgeons, Neurologists and more. We also won’t hesitate to refer you on to the appropriate practitioner to help get you back on track where necessary. We have highly qualified, experienced and patient-centred practitioners. Whether you want to optimise your sporting performance, treat a painful problem or need help with rehabilitation, one of our team can help you. We are a group of highly trained physiotherapists with a special interest in assisting hypermobile clients with the complex issues that often accompany these conditions. Generalised strengthening/exercise programmes are often not well tolerated by people with hypermobility. Our specific and individualised approach is tailored to improving quality of life. Ocean Kids Physio is based on a philosophy of providing high quality, evidence based solutions to any movement problem. Our Paediatric Physiotherapists have extensive experience working with children and adults with a multitude of neurological and musculoskeletal conditions from birth and beyond. Our director, Katie Cleary has extensive experience working with children and teenagers with Dysautonomia, following her work at Dance Medicine Australia in 2013/2014 treating clients with EDS and HEDS suffering with autonomic symptoms, chronic fatigue, musculoskeletal pain and functional issues. Ocean Kids Physio treats babies, children and teens with all types of EDS / HEDS which affect their functional abilities. We use a range of modalities including vibration therapy strength training, clinic pilates, group therapy and hydrotherapy to improve pain, function and participation in children suffering from EDS or related connective tissue disorders. We are passionate about working with each individual in a unique way to support them to their goals in a fun and inclusive manner. Outpatient Clinical Genetics service for diagnostic evaluation of heritable genetic disorders including connective tissue disorders such as EDS, Marfan syndrome and LDS. Coordination of care for Marfan syndrome and LDS patients in conjunction with adult cardiology service. Not currently able to offer comprehensive management for hypermobility patients fulfilling criteria for HSD or hEDS. Private musculoskeletal clinic, with a focus on hypermobility disorders. Also offering pelvic floor rehabilitation for female and male clients, with incontinence, pelvic pain and other disorders. Predominantly a musculoskeletal therapy clinic, with specific interest in EDS including individual consultation. Provide onsite gym & hydrotherapy services. Provider to the NDIS. Private musculoskeletal clinic with a focus on hypermobility disorders. Peak Podiatry prides itself as one of Perths premier sports, paediatric and rehabilitative podiatry clinics. We are in the heart of Subiaco, making it accessible to anyone. We are proud to be part of the medical team for many of the top sports teams in Western Australia. We have a very close association with many physio groups who have a particular interest in paediatrics with particular reference to hypermobility. We are a paediatric specialty service which provides multidiciplinary services to rheumatological patients including Elers Danlos and Joint Hypermobility among others. We are passionate about patients achieving positive functional outcomes. We offer both individual and group consultations in a comfortable environment. We are extremely focused on deliviering a strong multidiciplinary management program to address the many areas these conditions can affect. At PhysioTec we have a team of interested, dynamic, empathic physiotherapists who are knowledgeable about EDS/Hypermobility and are keen to assist you in your rehabilitation. We can provide a detailed physical assessment to accurately assess you and guide you in achieving your goals through advice and education, hands on techniques as required and the use of graduated muscle strength training. Initially we may use Real Time Ultrasound Scanning for visual feedback to retrain the deep muscles to provide support and guide your joint positioning and feeling. Each individual’s rehabilitation program is then progressed and tailored to them but we do try to focus on functional gains with goals to improve sleep, decrease fatigue as well as improving strength and the feeling of stability. We also provide small group classes for progression of strength and posture. Private musculoskeletal assessment and evidence-based management of what are often chronic and complex multi-system presentations. Robyn is patient centred and happy to liase with any other practitioner involved in your care, to help prioritise therapy. Restoring function & capacity, and helping achieve your goals is the focus. To this end both clinics have onsite supervised exercise facilities, and there is onsite hydrotherapy at the Murdoch clinic. We are a multi disciplinary clinic offering Clinical psychology and Physiotherapy services for the Newcastle/Lake Macquarie area. We are NDIS registered and also offer a mobile Physiotherapy service to those who require it. Perth OT provides innovative occupational therapy services for children and adolescents, to improve functioning at school, at home, and in the community. Working primarily the areas of handwriting, literacy and joint hypermobility, with a focus on building educational outcomes. Kids Care Physiotherapy is a dedicated paediatric practice and has physiotherapists with extensive experience with the assessment and treatment of children from birth to 18 years. We treat children with orthopaedic, developmental, neurological and respiratory conditions including bladder and bowel dysfunction. One of our specialities is children with hypermobility (including EDS and HSD) and the director of Director of our clinic is currently studying her PhD in children with Hypermobility Spectrum Disorder and completing a clinical trial of the “Efficacy of a Pilates Intervention for school aged children with Hypermobility Spectrum Disorder on physical function and quality of life”. Peak Podiatry is proud to be widely recognized as Perth’s Premier Sports and Family Podiatry Practice. We are a professional Perth Sports Podiatrist practice specializing in the treatment of bone, soft tissue injuries and sporting injuries of the foot and lower limb. We also have a strong focus on Paediatrics and hypermobility and are very aware of the wide scope of complications such issues. I have been a massage therapist 19years, Kinesiologist 10 years and. Naturopath 2 years. I offer a wide range of treatments , programs and workshops, to assist you to better understanding of your health and wellness. At Narrabeen Sports Medicine Centre we have the pleasure of working with Sports physicians, Orthopaedic surgeons, Physiotherapists and Paediatric Rehabilitation Hypermobility Specialists to provide you with the best care possible. We have seen a large number of hypermobile patients and involved in research in this field. We specialise in scoliosis. Scheurmann’s Disease and hyper mobile and/or low muscle tone. The clinic is run within Max Sports Physiotherapy Clinic as Schroth Scoliosis Physiotherapy Clinic. We have a holistic approach with physio, podiatry, dietetics and psychology. We liaise closely with all other specialists involved in your care. Metro pain group started in 1986. We are a Sports and Family Podiatry practise with 6 Podiatrists. We see a range of conditions relating to the foot and lower limb. Paediatric private practice located in Canberra with physiotherapy, occupational therapy and speech pathology services. NDIS-registered provider. Michelle O’Sullivan Occupational Therapist: The uniqueness of my service lies in my extensive experience helping people to live as fully as possible with hypermobility & co-morbidities (e.g. POTS, Gastroparesis, Fatigue, Pain). I am able to offer you a big picture assessment of your needs, with individual recommendations on what steps to take next. I can recommend equipment/assistive devices to make day to day life easier. My experience working with adults with hypermobility conditions is unmatched by any Occupational Therapist in Australia. I offer face to face appointments in Sydney and ONLINE appointments worldwide! I also provide education, professional supervision & mentoring to OT’s. Hypermobility Connect: An online platform for anyone living with a hypermobility condition to connect with others and gain hope & help while trying to manage their hypermobility & health. Superkid Rehab was established to provide community-based rehabilitation and disability care. We specialise in childhood conditions, seeing babies through to young adults (up to about 25 years old). The medical clinic works closely with local allied health and recreation providers to create practical, goal-directed management plans. The Institute for Urban Indigenous Health is a network of clinics in South-East Queensland. We have a range of Indigenous health programs centred around community-based centres. Physiotherapist in a Child and Adolescent Unit in the Blue Mountains of NSW. See children 0 – 18 years for developmental concerns. Physiotherapy clinic in Blue Mountains NSW with holistic approach to health. Physiotherapists trained in DMA Clinical Pilates (MBCT) and trained to incorporate Dance, Yoga, outdoor sports and Clinical Pilates in treatment. Also receives referrals for Women’s Health Physiotherapy (Samantha King, Lauren Lewis) and TMJ dysfunction (Annabel Ralph). Second Skin provides custom made dynamic Lycra splints and compression garments. We can assist with improving joint stability, proprioception and help with pain management. We run clinics in all Australian states and territories, and all over the UK. At Southside Clinic we have helped over 10,000 patients get back to living a healthier pain free lifestyle. Southside Clinic (originally Southside Osteopathy) was established in January 2008 when Dr Andrea Robertson started working in Adelaide as a sole-practitioner renting a single room in a multi-disciplinary clinic in Wayville. In late 2008, Andrea expanded Southside Osteopathy to its first stand-alone location on Unley Road. From early 2010 until late 2012, Southside Osteopathy also had a clinic in Glenelg, but in late 2012, Andrea consolidated the two clinics into one larger clinic in Unley, expanding into next door and doubling the size of the original Unley Rd clinic. In November 2015, Andrea once again expanded with a new location and a new name, yet the same great service. We combined our Southside Barre studio with Southside Osteopathy into one large purpose built ‘Southside Clinic’ on Hughes St in Unley. Southside Clinic is now one of Adelaide’s largest Allied Health clinic offering not just Osteopathy but also Physiotherapy, Massage, Clinical Pilates, Nutrition & Naturopathy, Psychology, Psychiatry and group fitness classes through our sister business The Barre Clinic. Our team are part of Perth’s leading group of practitioners working and treating the in the are of hypermobility disorders of both adolescent and adults. In my practice I am able to combine 25 years of Paediatric Physiotherapy and Classroom Teaching experience together to optimise children’s movement confidence and learning potential. I have specialised in Paediatric Movement Rehabilitation to ensure children are able to participate fully in everyday life. In the last 10 years I have specialised in working with children with Hypermobility Disorders, Specific Learning Difficulties (including: Dyslexia and Dysgraphia) and the impact of Poor Movement Coordination (DCD) and Fine and Gross Motor skills on a child’s educational, physical and social and emotional outcomes. As she is both a physio and teacher I am able to assess and treat the child across a variety of areas of difficulties in a holistic manner…..Understanding little people come as a WHOLE package, and as such treatment works best when you work with the whole child! Rebecca Snowden has been working with children with Connective Tissue Disorders throughout her 17 years of practice. She has developed a special interest in hypermobility disorders through her work with adolescent sporting injuries. The Physio Space provides Physiotherapy services to clients based on the condition of the patient. Rebecca’s interest in hypermobility means that all staff have an increased understanding of these disorders, not only in children but across the lifespan. The Physio Space is a well equipped clinic offering on-site clinical exercise therapy. Louise is an accredited rehabilitation physician and paediatrician holding Australian fellowships in both specialties and a Masters in Sports Medicine from The University of New South Wales. Louise currently practices at Kids Rehab the Children’s Hospital at Westmead, Narrabeen Sports Medicine Centre and Delmar Private Hospital. She trained and practiced in London, England at St Bartholomews Hospital, The Royal London Hospital and Great Ormond Street Hospital for Sick Children. She has expertise in hypermobility, persistent musculoskeletal pain, fatigue, difficulty learning motor skills, congenital musculoskeletal conditions, athletes with a physical disability and exercise and rehabilitation programs for children following injury or illness. VCRC is the peak body for Bladder and Bowel health in Victoria. We have a multidisciplinary clinic with nurses and physiotherapists. We are NDIS registered and can also see private clients. We welcome people of all ages, genders, sexual orientation, cultures who need assessments or treatments for Bladder, Bowel, Pain, Prolapse, Prostate and other pelvic issues. Our lead physiotherapist has a personal connection and experience with hEDS. We are always open to new knowledge and ideas, if we don’t know the answers we will try to find out. We are a private Physiotherapy practice with 2 staff members that specialise in difficult pain problems. Both therapists have a Master of Science in Medicine in Pain Management and between us we have over 60 years experience in the management of all types of chronic and complex conditions. We have long appointment times and are commited to assisting people with chronic problems to live as full a life as possible. This professional is a member of the International Consortium on EDS and Related Disorders. The Medical University of Innsbruck is the main Hospital in Western Austria. Research on rare diseases with oral manifestations of our department combines genetical, molecular and histological analyses. In collaboration with the Division of Human Genetics, the genetical basis of periodontal Ehlers-Danlos syndrome has been defined in 2016. Research on the clinical presentation of periodontal EDS and the pathogenesis, as well as oral manifestations of various EDS subtypes is proceeding. The Center for Medical Genetics is a reference center for patients with hereditary connective tissue disorders (HCTDs), including Ehlers-Danlos syndrome, Marfan syndrome, Osteogenesis imperfecta, and Stickler syndrome. The primary aim is to provide a detailed screening to assist the patient in finding the correct diagnosis. As a secondary aim, our team organizes information sessions for patients with HCTDs and education sessions for health care providers. I decided to face Ehlers-Danlos Syndrome and its manifestations. Each patient should have the opportunity of develop a treatment program by the physical and rehabilitation medicine. I am a hipermobility Ehler Danlos patient and i love to research, study and share my experience and knowledgment with others. The EDS Clinic at SickKids, Toronto was established in January 2017. We are partnered with the adult EDS Clinic at the Toronto General Hospital, part of the University Health network. The mission of the EDS Clinic is to support patients and families living with EDS by providing timely diagnosis, coordination of medical care, education and expertise in the treatment and management of EDS. Vida Health & Wellness is a physiotherapy clinic in Calgary, Canada specializing in women’s health, chronic pain, and complex conditions. We have extensive experience with Ehlers Danlos Syndrome and welcome individuals to come and see us for help with their condition. Our physiotherapist takes a different approach than most: she listens, she doesn’t use machines, and she works toward your goals. All of this results in less pain and improved function! For those with pelvic organ prolapse, we also offer pessary fittings with very short wait times (under 1 month). This condition is common in women with EDS and it can be difficult to get timely care. Online booking, free parking, and a child-friendly facility are available. We direct bill to most insurance companies. I run a once weekly clinic where I see, among others, patients with hypermobility disorder. They are often referred to me by the Pain Clinic, Paediatricians, General practitioners, Family doctors, Orthopaedic surgeons or Physiotherapists when a patient presents with unexplained pain and/or a musculoskeletal condition. There is easier access to a rehabilitation team at our hospital once a diagnosis has been established especially if pain is at the forefront at time of referral. I also work with community therapists if patients find it easier to have treatment sessions locally. I see patients who live around the Montreal area and anywhere in the province of Quebec if local expertise is not available. I am also open to see outof-province patients if local expertise is not available as long as there is a provincial health coverage in their province. I speak French, English and Spanish fluently. I treat patients with complex bracing needs for the extremities and spine and provide education on joint protection strategies for patients with joint hypermobility, Ehlers-Danlos and its various subtypes, Marfan’s syndrome, Down syndrome, and Larsen syndrome. I have a practice centred on patient goals. Referrals must be made by a family doctor or specialist physician. Please include any consultations from medical geneticists and any relevant genetic testing. Patient-centred research is a focus of this practice and patients may be asked to participate in quality of life and biomechanical studies. An interdisciplinary team, located at Toronto General Hospital, consists of a core EDS team and a number of specialists who have a dedicated interest in the diagnosis, interdisciplinary management and research to find a cure for EDS. The core EDS team members conduct assessments, make a treatment care plan and refer to clinical specialists when indicated. The Ehlers-Danlos Syndrome (EDS) Program is a collaboration between University Health Network (UHN) and The Hospital for Sick Children (HSC) and focuses on clinical care, education, and research. This joint program provides a centralized approach in the diagnosis and management of EDS in Toronto, Ontario, Canada. I am a Rheumatologist in private practice. For the last 20 years I have been treating EDS patients. I also treat Dysautonomia and Osteoporosis. Mine is a solo practice. The care of patients with EDS is a recognized activity of Dr. Bénistan. She takes care of a large cohort of EDS patients. Since 2007, Dr. Bénsitan has been part of the EDS National Reference Center, has been certified by the Ministry of Health and has participated in the national care of non vascular EDS patients. She acts as a scientific counselor for French patients’ associations. Head of the Division of Medical Genetics at the IRCCS-Casa Sollievo della Sofferenza; institutional representative at the Regional Round Tables for Rare Diseases and Medical Genetics. Member of the Medical and Scientific Board of the international Ehlers-Danlos Society. Member of the professional board of various Italian patients’ associations for rare diseases. Marco Castori’s major research topic is joint hypermobility and the related Ehlers-Danlos syndromes. About one-third of his scientific production is dedicated to this argument and he is recognized as international expert in this field. Additional interests include clinical dysmorphology, genetic skin disorders and mosaicisms, neurodevelopmental disorders and fetopathology. Marco Castori is author and co-authors of 166 publications which include 149 articles in peer-reviewed international journals and 17 book chapters. He was ad hoc reviewer for more than 70 international scientific journals and Guest Editor for an issue dedicated to Ehlers-Danlos syndromes of the American Journal of Medical Genetics Part A. He was the recipient of the 2015 Opitz’s Young Investigator Award. I have a special interest in musculosketal disorders. I do diagnostic ultrasound and joint and soft tissue injections for various problems. Expert clinic in diagnosis and rehabilitation treatment of patients with hEDS and HSD. At the Rheumatology and Musculoskeletal Clinic we offer a wide range of general medical and rheumatology services. We also treat chronic soft tissue injuries, and joint dislocations in all patients who have chronic injuries. I have sub-specialised in Ehlers-Danlos syndrome, including the pain/injury related processes with it, and use prolotherapy in these patients with very good results. https://bmjopensem.bmj.com/content/5/1/e000481 As New Zealand doesn’t have any other EDS specialists yet, I look to, and rely on, our international EDS team for guidance when patients have complex issues. Physiotherapist with a special interest in orthopaedics, connective tissue disorders-hypermobility and fascial scarring, arthritis, cranial mobilisations, Temperomandibular disorders. Sharon was an inaugural member of the Hypermobility Club of London and the South East, UK, led by Prof Rodney Graeme. She was a national physiotherapy advisor for the Hypermobility Syndrome Association, UK, presenting at their annual conferences and a contributing author for a booklet “Hypermobility in Children”. Since emigrating to New Zealand in 2004 Sharon has set up Physiotherapy Led Orthopaedic Clinics in Timaru and is the Clinical Leader for the Physiotherapy Primary Intervention Group. This team of physiotherapists treat arthritis in the South Canterbury community under MoH and District Health Board contracts. In her part time private practice Sharon receives referrals from GPs and Consultants, as well as self referrals for children and adults suffering from the various problems of connective tissue disorders, in particular Generalised Joint Hypermobility (GJH) and fascial scarring. Sharon has presented to physiotherapists and doctors in the South Island on the the management of GJH and fascial scarring. She mentors colleagues, within and outside of her district, to support them as they manage patients with the often bewildering symptoms of hypermobility. At the moment I am only able to offer advice and guidance to GPs or other doctors or health care professionals with EDS or potential EDS patients. An actual clinic may be possible in the 2nd half of 2019. I am able to offer imaging guided sclerosant prolotherapy. In the public hospital service this must be a specialist referral and the patient in the Bay of Plenty District Health Board catchment area. Broader options for privately funded patients in private practice. 8 years experience in physiotherapy. I deal with many orthopaedic cases, also EDS. Postgraduated courses: IAOM, PNF, Fascial Manipulation, Kaltenborn, FDM. Institute Neuropsychiatry and Addictions. Hospital del Mar. Parc de Salut. Hospital del Mar. Attending all type of psychiatric patients, but more especialized in Anxiety disorders, and all those disorders in the borderland between psychiatry-psychology and medicine. Intensive academic carreer and carried out research in different areas, such as anxiety, EDS, Depression, meteorology, etc. We are a group of neurosurgeons based in Barcelona, focused on treating the disorders and conditions related to hypermobility and Chiari. Dr Bartolomé Oliver and Dr Vincenç Gilete officially formed a surgical team and partnership in 2015, specializing in the treatment of hypermobility and craniocervical instability. Previously each doctor worked in separate neurosurgical clinics but after seeing the need for focused attention to this very underserved community of patients, a partnership was formed. They bring over 50 years of combined experience in Neurosurgery to serving patients with Ehlers-Danlos Syndrome. Our team in the operating room as well as our care team of doctors, specialists, and nurses are experienced in dealing with the issues unique to EDS patients. We strive provide the highest level as we participate in this process of healing and improved quality of life afforded to our patients by our team of dedicated and qualified caregivers. As a physiotherapist I treat regularly patients having various musculoskeletal problem associated with EDS and GJH. The main focus of the therapy is function-centred including pain relief, improvement of muscle function and joint stability, as well as advice for daily life activities or sports. As a researcher I am interested in the biomechanical background of joint hypermobility and the possibilties to reduce symptoms and to improve joint stability and daily life activity. At Bern University Hospital we yet performed several research projects and are still engaged in the topic. The Division of Metabolism at the University Children’s Hospital Zurich has a long standing international reputation as one of the leading diagnostic and research centres for CTD world-wide. Furthermore, the Division is dedicated to the management and counselling of patients and their families. In this position, the Division can count on a relevant and over the years increasing number of patients referred from European, Pan-Asian, Australian and Arabian countries. During a one-year period we see approximately 70 new patients with CTD in our outpatient clinic. Single observations have turned out to become seminal models for biologically new and surprising concepts and the same is expected in the future. We have established a multidisciplinary CTD clinic including clinical, biochemical and molecular diagnosis with a particular focus on long term follow up and natural history of CTD. Pelvic health physiotherapy, pelvic pain. My practice is in Physiotherapy and Department of Obstetrics & Gynecology, Akdeniz University Hospital. My interest is pelvic pain and pelvic health physiotherapy which is focused on endometriosis and Ehler Danlos Syndromme related disorders. I practice in the Division of Reproductive Endocrinology and Infertility, Department of Obstetrics & Gynecology, Istanbul Medeniyet University, School of Medicine, Goztepe Training and Research Hospital. We have recently designed and are about to open an Endometriosis Clinic, which will be focused on endometriosis-related disorders, including pelvic pain. As a neurogastroenterologist, I specialise in diseases of the gut that affect its nervous system, muscles and connective tissue. I also specialise in gut symptoms that occur due to abnormal communication between the brain and the gut such as in stress. The patients I see most commonly are those with complex unexplained gastrointestinal disorders. I work in a multidisciplinary way with pain specialists, dieticians and psychologists. I have access to sophisticated diagnostic techniques to investigate gut function and use these to guide treatment. My clinical interests are in Functional Gastrointestinal Disorders e.g. Irritable Bowel Syndrome, Functional Dyspepsia etc; abdominal pain; gastrointestinal motility disorders and gastrointestinal manifestations of systemic disease e.g. diabetes, neurological disorders and connective tissue disorders like scleroderma and I have a particular research and clinical interest in gut manifestations of Ehlers-Danlos Syndrome. I have been an NHS GP for more than 25 years but as a result of being diagnosed with Hypermobility EDS in 2015 have now moved into Private Practice with a Special Interest in the Ehlers-Danlos Syndromes, PoTS and Mast Cell Disorders. I have always had an interest in Mind-Body Medicine and have also been practising in Clinical Hypnosis & Cognitive Behaviour Therapy since 2009. This often works well in tandem with a my general medical background in finding ways to improve the health of patients with more complex problems such as medically unexplained symptoms. The national Ehlers-Danlos syndrome diagnostic service is a specialist service for individuals and families who are suspected to have complex Ehlers-Danlos syndrome (EDS). The service focuses on diagnosing complex EDS. Sometimes, it may be more appropriate for an individual to see their local general clinical genetics team in the first instance who can refer on to us if there is a complex diagnostic question. When the main issues are managing the day-to-day aspects of EDS it can be more useful to be referred to other specialists such as rheumatologists, physiotherapists or paediatricians. Dr Nigel Burrows is a consultant dermatologist at Addenbrooke’s Hospital in Cambridge. He runs a genetic dermatology service with a particular emphasis on patients with Ehlers-Danlos syndromes. He works closely with other disciplines in the management of EDS. He is a Medical Advisor for two UK EDS charities and is a member of the International Consortium on the Ehlers-Danlos Syndromes and Chair of the International EDS Skin Group Committee. He is involved in research in EDS and has written chapters on inherited disorders of connective tissue for several of the major dermatology and paediatric dermatology textbooks. Central Health Physiotherapy is a musculoskeletal physiotherapy and hydrotherapy clinic, linked to the London Hypermobility Unit at the Wellington Hospital. Multi-Disciplinary clinic consisting of Physiotherapists, Occupational Therapists, Pilates instructors, Psychotherapist/counsellor, Physical Trainers who have a special interest in complex hip, knee and shoulder problems, hypermobility and EDS. Located in Leeds, Yorkshire, UK. Please find out more on our website. We are a small group of professional, experienced and compassionate clinical psychologists who are all highly experienced in working with people diagnosed with EDS or hyper mobility. Amongst other things, we can support people by providing pain management programmes, support in returning to school or work, adjusting to their diagnosis, or in managing associated mental health difficulties such as anxiety or depression. I run a small private practice in Highgate, London and in St Albans, Hertfordshire. I retain a comprehensive clinic treating the whole spectrum of Orthoapedic, Sporting and Rheumtolgy cases. My specialist interest lies in complex shoulder and elbow pain/instability dysfunctions. The majority of this lies in the hypermobile spectrum but by no means exclusively. I work closely with a wide range of Rheumatology, Pain, Psychology, and Orthopedic specialists across the Southeast of England. I am registered with almost all UK based health insurance companies. My ethos is ‘simplexity’, that means I take a very clear and simple approach to complex problems. If you would like to arrange an appointment to discuss a particular issue I would be more than happy to give a clear, simple, and professional opinion. I am a Consultant Rheumatologist and clinical lead for Ankylosing Spondylitis services at Royal National Orthopaedic Hospital, Stanmore. I also hold appointment of Honorary Clinical Senior Lecturer, University College of London . I currently conduct specialist clinics in Hypermobility, Ankylosing Spondylitis, Psoriatic arthritis at RNOH. I have private clinics at the Platinum Medical Centre, Hospital of St John and St Elizabeth, The London Clinic, Spire Bushey Hospital, One stop Doctors and RNOH. I am experienced in managing the whole spectrum of common and uncommon rheumatologic disorders. My special clinical interests include hypermobility, early inflammatory arthritis, early inflammatory low back pain, gout and complex systemic rheumatic diseases. I am currently researching on metabolomics in hypermobility and newer ways of delivering treat-to-target goal in early rheumatoid arthritis. My specialist training in the UK includes North East Thames Rheumatology Rotation, Clinical Research Fellowship at Bangor, North Wales and undertaking PhD at Bone and Joint Research Unit, London. I was awarded a clinical excellence award in 2016. A musculoskeletal physiotherapy clinic. I offer both hydrotherapy and physiotherapy. The London Hypermobility Unit comprises of clinicians with specialist knowledge and interest in managing hypermobility related problems. Following a thorough assessment, I provide a comprehensive functional and evidence based management plan for children and families. Podiatry services including orthotics prescription. I have over 15 years of disability specialist Social Work assessment and additional training in Hyper mobility Syndromes, Leg length discrepency, Acupuncture for podiatry. Particular interests inclue pain management and rehabilitation after injury. I use a patient centred approach to consider management of the hypermobile foot specifically tailored towards the individual and have a special interest in imaging. I have a diagnosed Hypermobility Spectrum Disorder myself and use research and aids and adaptations. I am current and constantly ahead of research into the Hypermobility Syndromes and will do home visits if the centre is in accessible. Abi graduated from the Surrey Institute of Osteopathic Medicine in 2016. Having published articles in dysautonomia international and conducting research into the affect of Osteopathy on postural orthostatic tacchcardia Abi offers a range of musculoskeletal treatments to help address the symptoms associated with connective tissue disorders. Run a weekly clinic where I see patients with joint hypermobility and treat the musculoskeletal and pain-related problems that occur. Use a multi-disciplinary approach to management working closely with Physiotherapists, Occupational Therapists, Pain Psychologists and Nurses. Have access to both outpatient and inpatient treatment programmes. Also have access to genetic testing, state-of-the-art imaging and, when rarely required, orthopaedic surgery. As an interventional pain physician, Dr. Nichelle Renk believes the most successful treatment involves identifying the appropriate diagnosis and then implementing a combination of modalities truly tailored to her patient. This multidisciplinary approach to pain management includes the potential use of procedures, limited use of medications, physical therapy, braces and devices, pain psychology, complementary alternative medicine (e.g. acupuncture), and nutrition/lifestyle modification. With a precise diagnosis and multifaceted plan, Dr. Renk achieves dramatic long-lasting results for her patients. Dr. Renk performs advanced procedures head-to-toe but specializes in procedures for the cervical, thoracic, and lumbar spine, sacroiliac joint, and other joints of the body and Botox for chronic migraine headaches. Dr. Renk is especially passionate about identifying and educating patients on hEDS as she has the syndrome herself. At Modern Family Medicine, we offer a unique health care setting embracing the Mind, Body, and Spirit. Offering not just diagnoses and prescription medications but alternative treatments such as; Osteopathic Manipulation, Medical Acupuncture, Cupping, Trigger Point injections,Vitamin injections, a “Breathing Bar™”, a meditation atrium, classes and more! Family practice clinic that provides patient care for both adults and pediatrics of all ages. Our staff thoughtfully considers all your health and wellness concerns to care for you as a whole person. This includes treatment for acute illnesses and injuries as well as treatments that promote ongoing wellness. Jenna Lightfoot, PA-C has special interest in using diet and lifestyle to manage and prevent many chronic medical conditions. In addition to seeing patients with Neuromuscular disorders I have a focus on EDS and dysautonomia. I currently follow over 400 patients with EDS. I diagnose and manage their EDS, POTS, migraines, TMJ and MCAS. I also work with physical therapists, orthotists, allergists, orthopedists, gastroenterologists, cardiologists, geneticists and dentists knowledgable about EDS and its complications. In my office we can perform autonomic testing, EMG, EEG, and small fiber neuropathy testing. My research focuses on pulmonary function, women’s health, and immune function in rare diseases. I am investigating sleep as well as the role of exercise in disease as well. I am new to EDS but have a couple of patients I am beginning to work with. Muscle & Joint Clinic specializes in Hypermobile Ehler-Danlos Syndrome diagnosis and treatment. We develop indiviualize strengthening and functional rehabiitation programs for patients with hypermobility due to EDS. George Davis MD, is a private-practice, Orthopedic Doctor specializing in Regenerative Medicine. This is a non-surgical procedure for pain in the joints which can heals ligaments and tendons. Dr. Karimov provides specialized testing, diagnosis, and counseling for anyone who wishes to obtain information about a medical condition with a known or possible genetic component affecting them or a family member. She is trained in diagnosing inherited diseases, identifying unaffected and affected individuals through specialized testing and examination, determining a person’s chance of developing or passing on a genetic disorder, and managing inherited diseases as it effects someone’s health. She works in close association with the medical team to help guide every aspect of the personalized medical plan and provides education and support. In addition, Dr. Karimov is interested in all aspects of general obstetrics and gynecology for women with connective tissue disorders, cardiac disorders, metabolic disorders, and cancer predisposition syndromes. She has expertise and interest in fetal anomalies, cardiac defects, and ultrasound for prenatal diagnosis of genetic syndromes. I am the most experienced MD in USA (and likely globally) with high-dose laser pain treatment. Have recently treated 5 EDS patients with high-dose non-invasive pain laser, and all 5 have responded well beyond their or my expectations. Potentially new treatment modality. I am a private-practice, Orthopedic Doctor specializing in Prolotherapy/Regenerative Medicine. This is a medical, non-surgical procedure for joint pain which actually heals ligaments and tendons. It is very effective in EDS and Hypermobility issues. Structure determines function, and vice versa. Thereby, both need to be addressed to create the greatest potential for health and healing. My practice is a synergistic blend of Osteopathy & Functional Medicine – both aim to identify the cause of disease. Osteopathy applies our understanding of anatomy and physiology into a gentle hands-on treatment. For EDS patients, it is especially helpful in resolving physical strain and pain throughout the body, but is also known to relax the nervous system, improve digestion, lung function, immune function, and much more. Functional Medicine addresses our unique biology, hormones, digestion, immune function, nutrition, genetics, and lifestyle. All of which help to maximize the benefit from the osteopathic manipulation and provide a full, enjoyable life. Physical Therapy Practice Specializing in EDS, Intercranial Hypertension, Intercranial Hypotension, Tethered Cord, Chiari, and Pelvic Health. Atlas Physical Therapy is a small practice with big heart, our therapists work closely with their exercise specialists to make sure that our patients receive the very best care. We treat all kinds of patients, from post operative repairs to sprained ankles, older individuals to young athletes, whatever it is we can make them feel better. Allison was a gymnast, gymnastics coach and judge. She became a Physical Therapist to help the gymnastics community to understand and treat gymnasts with hyper-mobility related injuries and instabilities. As a Certified Orthopaedic Manual Therapist and Orthopedic Clinical Specialist she treats a variety of athletes and individuals with various types of EDS. Ambulatory outpatient clinic focusing on a whole body approach to rehabilitation. We are a small private practice clinic with a focus on individualized one on one care. I have been working with individuals with generalized joint hypermobility/HSD/hEDS since 2003 and focused on this topic while achieving a post-professional doctorate (PP-DPT) completed in 2014. Over half of my caseload is individuals with hypermobile joints, abnormal connective tissue &/or chronic pain and fatigue. I have additional specialty training in peri-partum care and have supported women with GJH/HSD/hEDS through this phase. I experience GJH and meet 2017 criteria for hEDS, so I truly understand the pain and struggle that my patients live each day. My approach is focused on training body awareness and optimal movement strategies (Movement Impairment Syndromes Approach) and empowering individuals to take control of their daily lives. I have developed a style of manual therapy through trial and error that provides temporary symptom relief and augments the home exercise program and movement strategies. I also focus on training self care skills for pain management (TENS, hot/cold, massage, sleep hygiene, etc). I offer no miracles, but promise better management of our very unique bodies. At Greenwich Adolescent Medicine, we provide primary and specialty care to young people ages 10-26. We take an active role in coordinating the care team in the management of chronic and complex illnesses. The CT Center for CranioSacral Therapy specializes in pain management of physical and/ or emotional origin using gentle manual techniques. Of particular interest are Ehlers-Danlos Syndromes and related connective tissue disorders. Multidisciplinary approach in evaluating patients with EDS and Hypermobility for peripheral nerve conditions. I am a Fellowship-trained Hand and Upper Extremity Surgeon. I have dozens of patients with EDS and other connective tissue disorders linked to hypermobility. We have on-site hand therapy and physical therapy and coordinate care with our therapists to include bracing, splinting, activity modification and medical/injection therapy as needed. My bias is towards conservative care and working around some of the difficult issues faced by EDS patients by being creative with approaches to functional activities, but perform surgery when necessary, with an understanding that EDS patients need to be rehabbed and treated differently from the general population. I am often in the situation of making the initial diagnosis of EDS in many patients and referring them for a appropriate genetic screening. Managed by Dr. Paldeep S. Atwal, a board-certified geneticist, our standalone genetics institute caters to patients with rare genetic conditions and is committed to improving access to state-of-the-art genomic testing. With the widespread availability of affordable genetic testing laboratories we are able to find more specific and effective ways of managing patients. We are based in Jacksonville, FL and see patients from around the world. In multidisciplinary hereditary connective tissue disorder we see all categories of connective tissue disorders, with special interest in Ehlers-Danlos Syndromes. We provide diagnosis, counseling and management for the patients and their families. We coordinate a multidisciplinary care for these complex disorders. The name ACTIFY developed out of our passion for wellness of both the body and the mind. The activation of our minds is essential to the success of our physical health. In rehabilitation of the body, neuroplasticity allows our brains to create new positive and powerful neural connections to override painful, ineffective and self-limiting habits and movement patterns. Neurons that fire together, wire together. So, if we focus on new efficient and effective functional movement patterns, we will build stronger, positive neural pathways. We can re-educate your nervous system through a hands on approach that creates uniquely chosen therapeutic activities for you. From restoring your posture to re-creating functional and pain-free movement patterns, when we activate the connection between body and mind, you get better quicker. The Upledger Institute International Clinic is a facility that is dedicated to providing the best treatment available to clients with a variety of disorders/disabilities utilizing CranioSacral Therapy, physical therapy, acupuncture, Osteopathy, Chiropractic treatment , counseling and therapeutic massage. We are dedicated to treating the entire person to reduce and or eliminate the presenting symptoms, and enhancing the client’s quality of life. Extensive experience with connective tissue disorders because of the overlap with my primary expertise in mitochondrial and metabolic disorders. Very accustomed to cases with multisystem involvement and approaching each patient as an individual requiring personalized symptomatic management across a wide range of issues. In the Professional Background section below, thought that where and what Fellowship is important to a medical doctors history which in my case is: Fellow in Genetics and Metabolism, Children’s Hospital and Harvard Medical School. I am self-employed at a private practice that prioritizes expert, patient-focused and individualized care. I love my work and I’m grateful for the opportunity to help others who have EDS. Since I have hEDS, so you may notice I use thumb splints for performing manual therapy and I tend to get up quite slowly as I also have POTS. I have a lot of personal and professional experience using therapeutic exercise and manual therapy to improve chronic pain, fatigue, dizziness, joint stability, and quality of life. It often takes a village, so I enjoy helping my patients connect to other team members that can assist them in their journey. I love learning with my patients about what works best for them in getting them closer to their goals– because everyone is unique. Especially when you are a zebra. Rock Island Family Medicine is located in Rock Island, IL. We have 4 providers here (2 medical doctors and 2 nurse practitioners). I am a PT and I have EDS myself. I have been a pediatric PT most of my career but am in the process of transitioning to only accepting patients with EDS. I am in the western suburbs of Chicago and will also be offering telehealth services soon for patients who do not feel well enough to travel. I am uniquely qualified to treat patients with EDS as I struggle with the same issues of pain, fatigue and loss of functional activity as my patients. I have the approval of Kevin Muldowney to execute his protocol and have worked with Susan Chalela (PT in Charleston) to learn tried and true techniques. Danielle was raised in Dubuque and graduated from Wahlert High School. She received her Bachelor’s of Science Degree in Exercise Science with a minor in Biology from St. Ambrose in 2011. She went on to complete her Doctorate of Physical Therapy in 2012. After graduation, she was employed in Denver, CO for 6 years, improving her skills in outpatient orthopedics. During this time, she earned the designation as a Board Certified Orthopedic Specialist (OCS). She then spent several years studying at Regis University in Denver, completing her Fellowship in Orthopedic Manual Physical Therapy (FAAOMPT) in 2018. She obtained her Level 2 Dry Needling Certificate through Kinetacore in 2015. Danielle greatly enjoys being a Physical Therapist and the lasting relationships she creates with patients. She strongly believes in empowering patients through education. She treats all ages, from pediatrics through geriatrics, and enjoys returning patients to the activities they love. When not in the clinic, Danielle enjoys spending time with her husband and son, as well as hiking, biking, and camping. Our practice is a specialty neurology practice focusing on hypermobility, EDS, and POTS, Sleep Medicine, Headache, Multiple Sclerosis, Back and Neck Pain, and Memory Loss and Dementia. When patients come for a particular symptom we perform a comprehensive evaluation of the whole patient. This approach has enabled us to evaluate and treat patients with the constellation of symptoms that are EDS Hypermobility Type. Since we discovered the strong correlations of headache, sleep disorders, cervical radiculopathy , and joint pain, as well as the autoimmune correlations, we have treated over 600 hypermobile patients, and have presented multiple posters on their evaluation and treatment, particularly the evaluation and treatment of their headache and sleep disorders. Drs. DeSario and Bowling provide comprehenive eye care for the entire family. They diagnose and treat eye disease, perform contact lens fittings, and co-manage surgical cases with other local physicians. An optical boutique with a large frame assortment is also on-site for glasses prescriptions. Outpatient clinic that specializes in acute and chronic pain and sports medicine. Currently 5-10% of the practice is patients with EDS. Work closely with Jan Dommerholt, who is well known in field. Utilize multimodal approach with medications, injections, acupuncture, PT, chiropractic, nutrition, and mind-body medicine. Clinic has M.D, nurse practitioner, chiropractor, nutritionist, and social worker. We are a private practice physical therapy practice located at the heart of Columbia, MD who caters to orthopedic, sports, and geriatric population. Our Staff does extensive manual therapy, Trigger Point Dry Needling, in addition to traditional Physical Therapy. Our highly trained and experienced Orthopedic Certified Specialists Physical Therapist has profound expertise in treating patients of all ages and physical ailments. BEAT Physical Therapy is committed to helping you achieve and maintain optimal joint, bone, and muscle movement in a timely manner. Our therapists are trained to deal with simple to complex conditions including hypermobility syndrome, EDS, chronic pain, fibromyalgia and other orthopedic pre and post-surgical cases. Dr. Austin has been practicing internal medicine and hospitalist medicine, successfully combining the European and American approach to the most challenging EDS and Chiari patients. Dr. Austin acquired a vast expertise in treating Ehlers-Danlos Syndrome patients, movement disorders, adult PANDAS, mast cell activation disease and severe autonomic dysfunction. His previous interest in pharmacology, physiology, headache, autoimmunity, psychotropic and nootropic medication alowed him to design new algorithms of treatment in the intricated world of multi-system involvement of EDS, and apply them clinically with outstanding results. His unusual knowledge of side effects and medication interactions, combined with a solid base of history of medicine and medical research made him a great addition to the EDS group in the Washington area. Dr. Austin was named America’s Top Physician in Internal Medicine in 2012 and 2013. One. is a physical therapist owned and operated wellness clinic in Annapolis, MD. Jennifer Balducci, PT, MSPT, co-owner of One., herself with joint hypermobility syndrome, has dedicated her practice to the treatment of joint hypermobility, with a focus on Wellness, using a combination of educational, nutritional, self treatment, Class IV Cold Laser, manual therapy, and Pilates based approaches to give her clients the opporunity to manage their hypermobility and related pain disorders. We see many patients with EDS related disorders in both clinic locations. The PhysioFitness location is truly unique as we have a revolutionary new approach to exercise for individuals with EDS emphasizing an external-focus exergaming focus. We collaborate with several prominent EDS medical specialists in the greater Baltimore-Washington DC metropolitan area. Our clinicians are highly specialized in EDS and related disorders and can address most common pain issues, including headaches, neck/back pain, movement disorders, etc. The clinic specializes in treating patients with chronic pain, including those with EDS, orofacial pain, and myofascial pain. The Ehlers-Danlos Society Center for Clinical Care and Research is dedicated to providing diagnostic services and care of persons with the Ehlers-Danlos Syndromes. 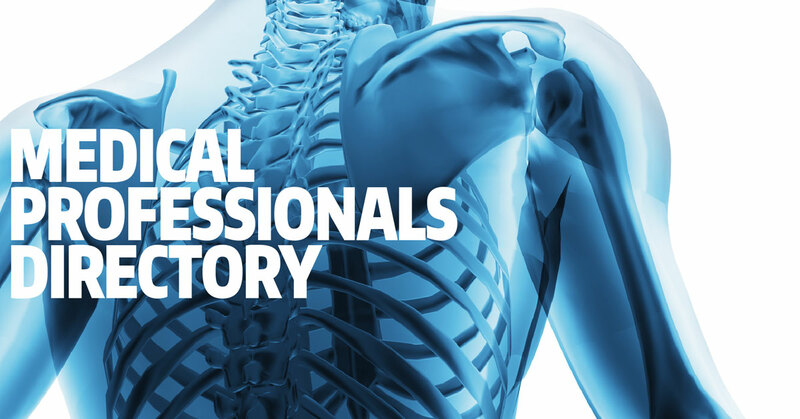 Our practice is dedicated to providing patients with the highest quality spine and neurosurgical care, offering patients non-surgical and surgical options for treatment. When surgery is indicated, we provide the most advanced, highest quality care available. We take great pride in the individual care and genuine concern that we show each patient. Although brain and spinal abnormalities are very complex, we strive to build relationships with our patients as we determine the correct diagnosis and treatment options. Whether you are a current patient, prospective patient, or concerned family member, please explore the information on this web site and feel free to either contact our office for more information or schedule an appointment. PhysioFitness is truly unique as we have a revolutionary new approach to exercise for individuals with EDS emphasizing an external-focus exergaming focus. We collaborate with several prominent EDS medical specialists in the greater Baltimore-Washington DC metropolitan area. Our unique approach towards exercise and dedication to interdisciplinary care is paramount for out patients success. I host the Vision after Brain Injury Clinic at the Wilmer Eye Institute. In that capacity, I see many patients with Ehlers Danlos Syndrome because it appears that these patients are more susceptible lasting effects of brain injury by virtue of the fact that they are more fragile. Starting July 2018, we will also develop a vision clinic specifically devoted to patients with EDS and similar diseases. This clinic will be hosted by myself and Dr. Jefferson Doyle, a pediatric ophthalmologist who also has a PhD in the study of Marfan’s Disease. Arthritis and Rehabilitation Therapy Services / Arthritis and Rheumatism Associates, P.C. I am the Executive Director of Rehabilitation for Arthritis and Rehabilitation Therapy Services (A.R.T.S.) which is a subdivision of Arthritis and Rheumatism Associates, P.C. We have six offices in Montgomery County, Washington D.C. and Frederick. We have 22 physicians, 14 physical therapists and one physical therapist assistant. Because A.R.T.S. is associated with a rheumatology practice, we get a lot of patients that have joint hypermobility and EDS. As a result, I have developed a comprehensive program for managing this, and have had great success with patients, and teaching them how to best manage their condition! Dr. Kragie is trained in multiple specialities. In addition to Internal Medicine, she knows Endocrinology, Neuroscience, Cardiology, Nephrology, Immunology, Molecular Medicine/Genetics, Clinical Pharmacology and Addiction Medicine. She is adept and current with the cutting edge of medicine, usually 10-20 years ahead of the standard of practice. At this time (it may change in the future), she is only providing telemedicine remote patient consultations via Skype or Google Hangout. She will not give out prescriptions but will recommend medications and therapies that can be shared with the patient’s healthcare team. Most important, all information is strictly confidential – nothing is shared with corporations or government agencies. The patient has full control over who sees their data and reports and to whom Dr. Kragie may discuss the patient’s care. Dr. Jeff Milunsky specializes in the evaluation, diagnosis, and management of genetic connective tissue disorders including EDS. He evaluates patients of all ages. He is also an expert in genetic testing variant interpretation. A summary of the evaluation along with management recommendations are provided to the referring provider with a copy to each patient. When contacting the clinic, always ask to be placed on the cancellation list. I offer many cares and evaluations remotely via telemedicine and may do house calls if needed for patients not able to travel/visit the clinic. I perform initial evaluations, provide long term cares and management of EDS as well as other associated conditions (including but not limited to mast cell diseases, dysautonomia, POTS, SIBO, etc). I opened my own practice after discovering the limited availability/access to cares for these conditions which I have adored learning and working with for many years. I especially love the complexity and challenge followed by seeing the great transformation in patients when able to get things under control. Please see website for details. I have a significant portion of my patient population that suffers from the triad of POTS, EDS and MCAS. I am primarily an oncologist and hematologist so care for individuals with EDS because of the increased bleeding issues. I became more invested and engaged in the field when my child developed POTS, which I learned was related to his hyper mobility. Dr. Richard C.E. Anderson is one of the leading pediatric neurosurgeons in the tri-state region. He specializes in the surgical treatment of pediatric brain and spinal tumors, complex spinal disorders (including tethered spinal cords, scoliosis, and instability), spasticity, craniosynostosis, Chiari I malformation, vascular disorders (including arteriovenous malformations, cavernous malformations, and Moyamoya disease), hydrocephalus, and general pediatric neurosurgery. Dr. Anderson extensively tests and utilizes the latest proven techniques in pediatric neurosurgery, including computer-guided surgical navigation, minimally invasive endoscopy, and microsurgery. Dr. Anderson’s clinical research efforts focus on surgical techniques and biomechanics of the pediatric cervical spine. He has published over 150 neurosurgical papers and book chapters for the Journal of Neurosurgery: Pediatrics, Neurosurgery, Clinical Immunology, the Journal of Immunology, PLOS ONE, BMC Cancer, and others. He participates actively in organized pediatric neurosurgery efforts and is currently on the executive committee of the AANS/CNS Joint Section on Pediatric Neurosurgery. We offer one on one PT session for an hour. We follow the Muldowney protocol. Presently, about 50% of my clients have hypermobile EDS. I am a registered dietitian nutritionist with a private practice specializing in EDS, POTS, and Mast Cell Diseases. I have a local office in NJ and also accommodate out of state patients via a HIPAA compliant online platform. Single specialty private group (Rheumatology) consisting of 4 Rheumatologists, 2 NPs and 1 PA. Handle and care for a wide variety of arthritic and rheumatic illnesses as well as osteoporosis, chronic pain syndromes and dysautonomia. My practice focuses principally in diagnosis and treatment of mast cell activation disease. Our practice at The Recovery Spot is dedicated to treating patient dealing with psychiatric issues, addiction and chronic pain/medical problems. We provide a comprehensive approach to each patient and offer compassionate, state-of-the-art care. Dysautonomia Clinic, founded by Dr. Svetlana Blitshteyn, offers comprehensive patient care to patients with POTS, NCS, OH, neuropathy, chronic headache, chronic fatigue syndrome, fibromyalgia and other related conditions to patients world-wide. We have a large patient population with Ehlers-Danlos Syndrome. We offer phone and video consultations to patients, as well as opportunities to participate in research studies, psychotherapy, nutrition consulting, health and wellness coaching and medical legal consulting services. Our Physicians are Dr. Kula and Dr. Bolognese. Along with Dr. Milhorat (now retired), we were the first Neuro specialists in the world identifying and treating Craniocervical Instability in EDS patients, more than 15 years ago. We have performed almost 800 Craniocervical Fusions since then, more than 250 of which with the new Condylar Fixation technique..
Dr. Cheriyan is a specialist in Neuromusculoskeletal Medicine and Osteopathic Manipulative Medicine. It’s a gentle approach to diagnose and treat somatic dysfunctions. These are impaired or altered function of related components of the somatic (body’s framework) system including: the skeletal, arthrodial, and myofascial structures, and their related vascular, lymphatic, and neural elements. The goal of our office is to optimize your health. We use gentle osteopathic manipulative medicine to give you relief and setup your body to heal itself. Furthermore, we review your lifestyle, diet, posture, exercise routines, medical history and more. We work to help patients reduce pain and improve or restore mobility – in many cases without expensive surgery and often reducing the need for long-term use of prescription medications. We teach patients how to prevent or manage their condition so that they will achieve long-term health benefits. We examine each individual and develop a plan, using treatment techniques to promote the ability to move, reduce pain, restore function, and prevent disability. Our focus is to work with individuals to prevent the loss of mobility before it occurs by developing fitness- and wellness-oriented programs for healthier and more active lifestyles. Bilingual multi-state Licensed Clinical Social Worker/ Psychotherapist and Airline Flight Attendant with over 23 years of global flying experience encountering and interacting with a large diversity of cultures and populations. I also have EDS and I am specialized in helping individuals with fear of flying, Chronic pain and EDS, anxiety disorders, mood disorders, and personality disorders, including Borderline Personality Disorder (BPD).In addition, she has extensive expertise in helping those struggling with relationship difficulties, perfectionism, procrastination, chronic pain, disordered eating, substance abuse, hospice end of life of humans and pets, and suicidal and non-suicidal self-injurious behaviors. She has vast experience in working with individuals from a multicultural background as well as the lesbian, gay, bisexual, and transgender (LGBT) community. I have a private practice, Comprehensive Allergy & Asthma Care, which focuses on a more holistic diagnostic and therapeutic approach to inflammation, due to hypersensitivity, such as Mast Cell Activation disorders, as well as Primary Immune Deficiency. Dysregulation of the immune system can cause problems in any organ system. Yet it is signs and symptoms of the skin, gut and respiratory tract that typically cause patients to seek an allergy/immunology consultation: sinus problems, recurrent respiratory infections, skin disorders (urticaria/hives; swelling/angioedema; flushing/redness of the skin; and eczema), breathing difficulties (asthma, ie), food sensitivities/chronic gastro-intestinal distress. The team includes myself, a nurse practitioner with expertise in the neurology arena, and a physician assistant with over a decade of dermatology experience. We also recognize the need to partner with other specialties, to help gather clues and design a therapeutic plan. The latter may include the use of nutrition, traditional Chinese medicine, biologics (including the original biologic-supplemental gammaglobulin. Dr. Marcus is a member of the Pain Management Section of the EDS Consortium. He started the first pain center in New York City at Montefiore Hospital in 1977 and went on to direct multidisciplinary pain centers at Lenox Hill Hospital in NYC and Princess Margaret Hospital in Windsor, UK. He was trained in the evaluation and treatment of soft tissue pain by Hans Kraus, MD, President JFK’s physician for his back pain, who replaced Janet Travell when her treatments failed. Currently, the Director of Clinical Muscle Pain Research at Weill-Cornell Medicine, his practice deals with all aspects of chronic pain. He has invented an electric instrument that can identify specific muscles causing pain and stiffness so common in EDS patients. During the initial evaluation, each patient is tested for all possible sensitized muscles to facilitate a detailed treatment plan. Comprehensive treatment may include use of photobiomodulation, muscle tendon injections, physical therapy, treatment of symptoms of Mast Cell Activation Disorder, and use of a variety of analgesic medications. EDS-knowledgeable, resiliency-oriented, strengths-based psychotherapist, counselor, coach, consultant, and case manager providing guidance and support for people who live with complex chronic conditions, pain and/or disability, particularly due to rare conditions, especially EDS/HSD. Includes support navigating the healthcare system, particularly one that is data/metrics driven and, as such, often fails to adequately or safely serve people with rare conditions such as EDS. Also includes support for families, friends and caregivers and other relationships that affect the quality of life for people living with EDS/HSD such as employers, co-workers, healthcare providers, etc. Dr. Russek treats patients part-time, specializing in Hypermobility Spectrum Disorders, Fibromyalgia, and chronic pain. We are a holistic mental and emotional health center that emphasizes high quality, experienced clinical care and community based connection and activity. I am a sinus disease expert that also suffers from Ehlers Danlos Syndrome. Sinus sufferers with EDS are often mismanaged because steroids are typically harmful for EDS patients. I enjoy caring for EDS patients because of my personal experience with the disease. Body work that is clinical, gentle and non invasive. BowenWork specifically works with connective tissue imbalances; it relaxes spasmodic areas yet tones the muscles that are too weak or unstable. BowenWork tones and “matures” the nervous system. We are a membership practice specializing in treating patients with complex pain conditions. Clinical Genetics at The Children’s Hospital, Denver, Colorado. Molecular Genetics at The University of Colorado Health Science Center, Denver, Colorado. Clinical Cancer Genetics at The City of Hope Medical Center, National Cancer Center, Duarte, California. Dr. Schirripa is also an Anatomic and Clinical Pathologist with training in Molecular Pathology. I am a clinical psychologist specializing in the treatment of young adults and adults living with chronic and terminal illness and co-occurring psychological concerns. I utilize integrative therapeutic techniques in my practice to aid patients and their families to cope with the process of living with and/or caregiving for individuals with chronic and terminal illness and comorbid mental health issues. FYZICAL Mechanicsburg located in Mechanicsburg, PA is a medical and scientific-based physical therapy and fitness organization with a broad range of expertise. Spelled different because we are different! Founded in collaboration with a medical doctor, physiologists, licensed therapists and service business experts, we provide prescribed physical therapy and medically-based physical fitness. Yet we are much more than your typical physical therapy clinic. Our goal at FYZICAL is to help you discover how to achieve the pinnacle of healthy living, expand your boundaries, feel younger and revitalize your health. Specializing in Ehlers-Danlos Syndrome and other heritable connective tissue disorders. Dr. Kolthoff’s clinic takes place once a month at West Penn Hospital in Pittsburgh, Pennsylvania. Mark Lavallee, M.D., C.S.C.S., F.A.C.S.M. I see all my new ehlers-Danlos Patient initially at my Family Medicine clinic at York Hospital. Then, those needing advanced orthopedic consultation, I will see at my sports medicine clinic down the street. I ask patients to supply the following information at least 1 week PRIOR to their scheduled appointment so I may review ahead of their appointment. 1) 1-2 page outline of their symptoms, surgeries, treatment successes and failures 2) any relavent operative reports 3) any medical genetic report or labs 4) any clinical recent and relevant imaging. Dr. Liu is a board-certified, fellowship-trained neurosurgeon specializing in open vascular and endovascular neurosurgery and utilizes advanced techniques and technology to tailor treatment to each individual patient. He has extensive experience in the treatment of intracranial hypertension with stents and shunts, particularly in the EDS population, as well as extensive experience in the treatment of strokes and intracranial hemorrhages. Healy Physical Therapy & Sports Medicine, Inc.
We accept all major insurances, and offer convenient hours with initial visits seen within 24 -48 hours of referral. We are fluent in English, Portuguese and Spanish. We offer four convenient locations serving Rhode Island ( RI ) and Southeastern Massachusetts ( MA ) patients as well as out of state and international patients. It would be our pleasure to meet you and have the opportunity to help you achieve your physical therapy goals. I have a special interest in managing chronic complex pain conditions. In patients with EDS this means not just understanding the cause of the pain but also figuring out what else is preventing them from functioning or contributing to their difficulty with functioning. It may mean managing fatigue, anxiety and brain fog. Finding solutions with associated conditions such as POTS / Dysauotonomia, Mast Cell Activation Syndrome (MCAS), mitochondrial dysfunction, chiari malformation, cranio cervical instability, tethered cord syndrome, gastrointestinal issues. My job is to put all these together and connect the dots, start treatments and make recommendations. My clinical practice comprises neurosurgical management of Chiari, Syringomyelia and tethered cord and associate Cerebrospinal fluid disorders. Our practice treated over 100 EDS Patients per week. We use both manual therapy techniques to align the joints as well as our own exercise protocol specifically designed for the EDS population to strengthen every joint I. The body. My practice is an outpatient private practice physical therapy practice specializing in EDS and hyper mobility syndrome. Also see ortho, neuro, posture, ergonomics, pilates and osteoporosis. We have been providing psychological services in Middle Tennessee since 1977. Our mission is to offer comprehensive and empirically based psychological evaluations and treatment in a confidential and professional manner. Our practice offers assessments and counseling including individual and group therapy. We currently have a group especially for people with EDS run by Ms. Jessica Huddleston in both Lebanon, TN and Smyrna, TN. Ms. Huddleston works with clients of all age ranges beginning at the age of 4. She has a special interest in EDS, OCD and other co-occurring disorders. She is a member of the OCD International Foundation and she recently attended the DYSAUTONOMIA INTERNATIONAL CONFERENCE in Nashville. The Kelly Clinic, run by husband-wife team of Drs. Sarah and John Kelly, is an internal medicine practice that specializes in the primary care of adults and adolescents. Dr. Sarah Kelly, residency trained in both internal medicine (Mayo Clinic Arizona) and pathology (University of New Mexico), is affected by hypermobile Ehlers Danlos Syndrome (hEDS) and has a special area of interest and focus on the diagnosis and longterm management of Ehlers Danlos Syndrome, connective tissue disorders and “invisible disability” which is the focus of her practice within the clinic. As patients ourselves, we believe strongly in the healing power of the patient-doctor relationship and getting to the root of medical problems. This is the cornerstone of our practice. Our patients are entitled to thorough, affordable, easily accessible, personalized medical care. We recognize that all patients are unique and special and one-size fits-all approaches do not generally work for all patients. Therefore, rather than employing a more traditional, disease-centered approach to healing, we focus on the individual as a whole, not as a set of symptoms or diseases. I practice part time Family Medicine, and care mainly for adults. I am currently closed to new patients, but I have experience with EDS patients and understand that it is very difficult in Vermont to find physicians with understanding of EDS, so I am making myself available to help diagnose EDS, especially hEDS and Hypermobility Spectrum Disorders, POTS, and to a lesser degree Mast Cell Activation Disorder, and on a limited basis to be the primary care provider for EDS patients. I am hoping to develop a list of EDS knowledgeable specialists. Trillium Integrative Medicine is Vermont’s only certified Functional Medicine clinic. We treat complex chronic illness by looking for root causes, considering the complex web of interactions in a patient’s history, genetic makeup, physiology, and lifestyle that can lead to illness. We integrate traditional Western medical practices with what are sometimes considered “alternative” or “integrative” medicine. When appropriate, we prescribe pharmaceutical medications to alleviate symptoms. Then we work with our patients to create wellness through nutrition, diet, and exercise; use of the latest laboratory testing and other diagnostic techniques; and prescribed botanical medicines, supplements, therapeutic diets, detoxification programs, or stress-management techniques. Our practice was founded in 1987 and continues to provide comprehensive foot and ankle care today. We have a free standing private practice in Virginia Beach and a clinic within Eastern Virginia Medical School. Our practice is an affiliated training site for Eastern Virginia Medical School. Dr. Agnew is the founder and Director of the Eastern Virginia Medical School Podiatric Medical and Surgical Residency. Here we also conduct clinical research. We have generated many abstracts, journal manuscripts and book chapters, as well as multimedia content. We enjoy hospital privileges at several teaching hospitals in the SENTARA system, Children’s Hospital of the Kings Daughters and Chesapeake Regional Medical Center. Dr. Agnew is a past president, Fellow and member of the Board of Directors of the American College of Foot and Ankle Pediatrics. He became a member of the EDNF during the 2nd Annual Meeting. I am an interactive, person-centered psychotherapist. My therapeutic approach is to provide support and pragmatic feedback to help my clients effectively address personal life challenges. I integrate complementary methodologies and techniques to offer a highly personalized approach tailored to each client. With compassion and understanding, I work with each individual to help build on their strengths and attain the personal growth they desire. My wife has Classical EDS, so I have first-hand experience in the challenges faced by those suffering with EDS, and the frustration involved with this poorly understood diagnosis by so many medical providers. I do not currently take insurance, however I can assist with filing out of network medical claims if your plan offers this, and I also offer reasonable rates of $175 for an initial consultation and assessment, and $125 for follow-up psychotherapy sessions. I offer 10% off for active duty military, as well as Ehlers-Danlos Society members. Please check out my website for more information: www.therapybychris.com. I look forward to hearing from you! StrengthSpace is a supervised strength training cofounded by A physical therapist facility focused on joint friendly muscle strengthening. Strengthspace also serves as a shared treatment space for physical therapists who see private clients and enjoy access to the specific equipment available. Dr. Bryce Lee, DPT, Cofounder of StrengthSpace, also practices physical therapy independently out of the shared space alongside other private physical therapists. Progress Physical Therapy – Midlothian is an Abdominal and Pelvic Health speciality center. We treat pediatrics through geriatrics, with an emphasis on one-on-one individualized manual and exercise therapies including neuromuscular re-eduation and biofeedback. We have a interest in hypermobility disorders in pediatrics as well as managing EDS symptoms during pregnancy and the postpartum period. Nimbus Massage specializes in massage and complementary therapies for pain relief with a special focus on chronic pain. All of our therapists have or are working toward Board Certification and have pursued continuing education in therapeutic massage. We do in-house training on various chronic pain conditions including EDS/hypermobility. Exceptional education, training and experience in the evaluation and treatment of hand/wrist/arm pain, particularly chronic problems that do not show on standard diagnostic tests. Special interest in peripheral nerve problems, painful joint instability, tendonitis, arthritis, Ehlers Danlos Syndrome, previous failed hand surgery, minimally invasive surgery, innovations in hand surgery. I offer both telehealth and in-person appointments, so you don’t have to travel to Pullman, WA, if it’s not convenient. Wait-times for an appointment are generally 2-3 weeks. Genetic counselors provide diagnostic testing, information, and support to families who may be at risk for a variety of inherited conditions and those who have a personal or family history of birth defects or genetic disorders. They identify families at risk, investigate the medical problems present in the family, interpret information about the disorder, analyze inheritance patterns and risks of recurrence, and review available genetic testing options with the family. Genetic counseling is relevant to every medical specialty, however it plays an especially critical role in: connective tissue disorders, obstetrics, pediatrics, oncology, research, and testing. At Wisconsin Integrative Pain Specialists (WIPS), expert care is provided for adults and teens suffering from persistent pain utilizing an integrative approach. We specialize in treating patients with Ehlers-Danlos Syndromes and related disorders. Dr. Bluestein also treats the fatigue, memory dysfunction, sleep disturbances and mood disorders that so commonly co-exist with these painful conditions. Dr. Bluestein is also very actively involved in spreading awareness about EDS and related disorders educating both healthcare professionals and high risk populations such as dancers and other athletes. I specialize in Pain Medicine, in the context of Physical Medicine and Rehabilitation. At our clinic we focus on treating the whole person in order to improve function and quality of life. I have special interest in EDS and other hypermobility disorders, and have worked with EDS patients for over 20 years. Our in-house team includes other rehab physicians, anesthesiologists, nurses, physician assistants, physical therapists, psychologists, and psychiatrists. We also perform EMG testing, trigger point injection, and a full range of interventional procedures. Through UW Health we work with specialists in cardiology/vasovagal disorders/POTS, allergy/immunology, orthotics, gastroenterology, neurology, neurosurgery, genetics, and other areas of importance to the EDS patient. I teach locally, regionally and nationally on pain management topics, and am working to increase awareness and treatment access for individuals with EDS and their families.